Animals whose diet includes natural access to seaweed are often noted to be particularly healthy, with a shiny coat and strong hooves. Seaweed is an excellent source of broad spectrum natural vitamins, minerals and trace elements to support health and vitality in all horses. 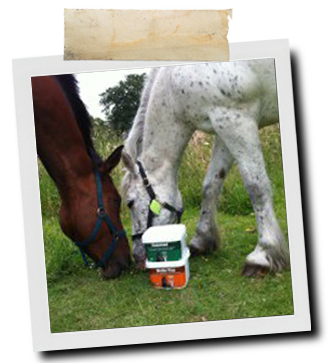 It is an ideal supplement for wheat intolerant horses. Seaweed is particularly recommended when feeding below recommended rates of hard feed, which may leave the diet vitamin and mineral deficient. To ensure you choose the right broad spectrum supplement for your horse, see also Optimum, General Purpose Supplement and Slim. 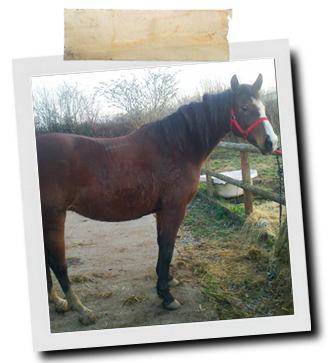 Note - Seaweed is not recommended for pregnant mares in late pregnancy. Our organic source off the coast of Scotland is guaranteed free of heavy metal contamination. To provide a broad spectrum of vitamins, minerals and trace elements when feeding less than recommended amounts of hard feed. Tonycyffig Debutante (Tan) shown by Megan Rodgers. Before Tan was sent to Megan for 2 years to show, she had been living out for years, out of work on foal duties and she had also lost the pigmentation around her eyes. Before this, she was a highly successful show horse, winning Pembroke County first time out as a 3 year old and winning numerous supreme championships at local level. Megan introduced In the Pink Powder and Seaweed to her diet as soon as she arrived. Says Megan "Already her winter coat is coming out in bag fulls to reveal a glossy summer coat, and the colour is starting to return to her skin around her eyes. Hopefully we can do her owners proud and return to her winning ways. I will definitely continue using NAF products. 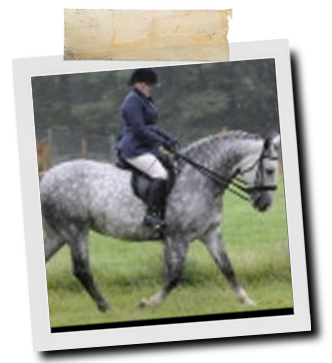 My success has been down to the goodness NAF installs in my ponies from the inside out." Granite to Gold a 13 year old, 16.1hh full Irish Draught mare owned by Marita Barr. Marita competes her mare Granite to Gold in dressage and showing. Marita has always had problems with her mare's poor hair growth, having always had to rely on the use of a false tail for competitions. On advice from the NAF Nutritional Helpline, Marita started to feed Seaweed. Says Marita "I am delighted to say I have seen some fantastic results, her coat is gleaming and she had a real sparkle in her eye. One of the most pleasing benefits I have seen is the sudden growth in her tail which I have struggled to grow in the past 2 years I have owned her. Since feeding Seaweed, her tail is now thicker and fuller and I no longer need to use the false one which is great as it is very time consuming! Keep up the good work!"